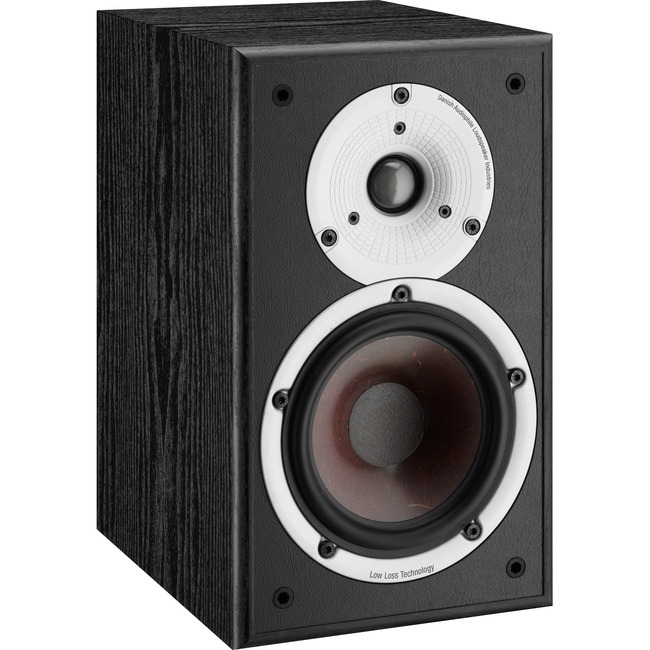 Dali SPEKTOR 2 Speaker | Product overview | What Hi-Fi? DALI SPEKTOR 2 Whilst still being a compact speaker, the SPEKTOR 2's larger inner volume delivers extra bass performance. The increased surface areas of the 5�" woofer and 25 mm soft dome tweeter increases the overall sound pressure levels, making this the perfect choice for larger rooms that still require a compact speaker. The SPEKTOR 2 will also find itself at home in any surround position, helping you get that fully immersive movie experience. WOOD FIBRE CONESOur low-loss drivers uses a mix of low-mass paper cones with wood fibre reinforcement. The embedded wood fibres give the surface an uneven structure, which dramatically minimizes the resonance of the surface. This creates the best possible reproduction of every detail in the audio signal.AMPLIFIER FRIENDLYThe amplifier friendly design makes the SPEKTOR series a perfect fit for almost any of the amplifiers in its price category. No matter if we look at compact Hi-Fi, stereo amplifiers or surround receivers, SPEKTOR will bring out the best in them, showing you just how good music and movies can sound.SOFT DOME TWEETERThe dome tweeter offers best-in-class resolution with an extended frequency response, wide dispersion and low coloration. A clear heritage from our high-end series. The tweeter is based on an ultra-lightweight weaved fabric, which weighs less than half of the market standard (0.056 mg/mm2).LOW SIGNAL LOSSBy using only DALI designed and custom-built drivers, the need for frequency correction in the crossover is eliminated. This enables us to design an exact crossover which together with carefully selected quality components ensures that the signal loss is close to zero. PRODUCT DETAILS The DALI SPEKTOR 2 packs a larger inner volume than the SPEKTOR 1 and thereby delivers an extra bass performance. Getting this much Hi-Fi performance from a speaker in this price range not only took all of our experience and knowhow, but also hours and hours spent in the listening room, improving the driver and crossover designs to create the perfect audio performance. The compact SPEKTOR 2 - and its slightly smaller sibling SPEKTOR 1 - are ideal for wall mounting, shelf or stand positioning in combination with any compact Hi-Fi music system. The SPEKTOR 2 will also find itself at home in any surround position, helping you get that fully immersive movie experience. The DALI SPEKTOR 2, like all DALI loudspeakers, has been designed in accordance with our fundamental acoustic and electro-acoustic principles, and a strong belief that clarity and an authentic, honest sound reproduction will get you even closer to the full impact of a live music experience.